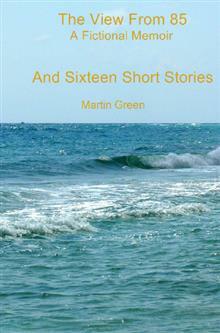 The man who answered the door was in his sixties, of middle height, stocky with a bullet head. Strangely, to my mind, he was wearing a jacket and tie, attire not usually worn in our retirement community except to weddings or, more often, to funerals. “You’re the one who’s interviewing my wife Pauline,” he said. I admitted that I was the one and he showed me in. After I’d retired, some years ago, I’d started free-lancing for our local newspaper and when this became known our retirement community publication had recruited me for its “Resident of the Month” feature. I was a little nervous about this interview. The Pauline I’d come to see had been a singer and dancer in musical shows and, although she’d never become a household name, she’d been fairly well known in the theater. I was sure she’d been interviewed many times by real newspapers and this must be small potatoes to her. Still, when our editor had called her she’d been agreeable. I followed Alex, that was his name, into the house and into the living room, where an attractive red-haired woman was seated on a sofa drinking a glass of wine. She was wearing a kind of gown, all in bright colors. I saw she was wearing bracelets and had rings on most of her fingers. As I approached, she stood up and extended her hand. I wasn’t sure what to do so I shook it and introduced myself. “Thanks for seeing me,” I said. “Thanks, but I’m good.” Up close, I could see the effects of old age on her face. Although she was heavily made up, the rouge and powder couldn’t hide the wrinkles and lines. My guess was that, like her husband, she was in her sixties. Her hands were also those of an older woman and she was wearing a strong perfume. I seated myself in a chair opposite the sofa and took out my notebook. Alex retreated to a chair in the corner of the room. I guessed he was going to be an onlooker. “I suppose you’ve been interviewed a lot,” I said. “Pauline has been in the New York Times theater section,” put in Alex. I went through my usual questions starting with where she was born, where she’d gone to school, how she’d gotten onto Broadway. She was from a small town in the Midwest, had come to New York while still in her teens and had landed a part in the chorus of what became a hit musical. From there she’d had a number of supporting roles and then had the lead in several touring shows. “Show him your scrapbook,” said Alex from his corner. “Of course,” said Pauline. She picked up a large book from the table beside the sofa. “Why don’t you come sit over here,” she said to me. I sat beside her, keeping a little distance away, and she opened the book. It had programs of the musicals she’d been in and many glossy photos of her, some in pretty scanty costumes. I have to say that when she was young she’d been a knockout. I noticed that Pauline had somehow moved closer to me. The smell of her perfume was pretty overpowering. “She was really something, wasn’t she?” said Alex. “Yes, she was,” I agreed. It occurred to me that both Pauline and Alex wanted to impress me even if my article only appeared in our retirement community newspaper. As Pauline had said, she’d had her day in the sun but that had been a long time ago. Maybe her ego needed a little boost. “Do you still sometimes sing?” I asked. “I’m no music critic,” I said. “That’s good,” she said, laughing. “You deserve a glass of wine,” she said. Somehow she now seemed a lot more human. I accepted the wine and Pauline returned to the sofa but this time sat at the other end. She asked me a little about myself and then she started telling stories about some of her stage experiences. They were interesting, especially those about some of the big stars she’d worked with. The most interesting, she told me, were off the record. We talked for another half an hour or so and then I took my leave. Alex saw me out. “You’ll write a nice article about her, won’t you?” he asked. We shook hands and I went back home to write about the star performer we had in our midst.